The police car is almost synonymous with law enforcement, but that wasn’t always the case. For the longest time the closest thing to police transportation was horseback, or perhaps in a horse-drawn carriage. You could easily expect an officer of the law to chase down a criminal on horse, just like in a western film, even as recent as the late 1800s. Police vehicles have only been around for the past hundred years, with the invention and influence of the motor vehicle. The world as a whole changed dramatically after the invention of the internal combustion engine, as did modern law enforcement. Beginning in 1899, the first police vehicle was an electrically powered wagon in Akron, Ohio. While the first in a long line of law enforcement vehicles drove across its first roads, no one was quite sure how far the new technology would go. As time passed the use of motor vehicles increased, but they were primarily used for transportation purposes so that officers could arrive at crime scenes faster. Once the Ford Model T car was invented it became the most popular choice for police agencies because of how viable and cheap they were as a car. However, despite the speed that a car provided, there was still no way to communicate with headquarters and find out where the officers should be driving. This changed in 1923 with the invention of the two-way radio, which let officers remain in their cars on patrol while also being able to communicate with other officers at headquarters or in different cars. This invention completely revolutionized law enforcement, and started the expansion of the police car as mandatory to the police force. In the early days of automobiles all cars were the same color, but because police vehicles needed to stand out amongst civilian cars, they were given special insignias for identification. As the need for better cars increased, the customization and performance of police vehicles resulted in the “police package”, which was Ford’s attempt to market specifically to law enforcement after World War II. As police cars became stronger and faster than civilian cars, they also started improving in other ways, such as the sirens. Originally sirens were a simple rotating light powered by an electric motor, but as the cars started seeing more and more improvements, the sirens became larger and louder and eventually resulted in the mounted bar lights that are used today. While engines became bigger and more powerful during the 1960s and 1970s, the oil crisis of the late 1970s dramatically reduced the number of big engine police vehicles, which had been becoming more popular. Over the next decade, many departments began using cars like the Ford Fairmont or Plymouth Volare, which were the same as taxis. 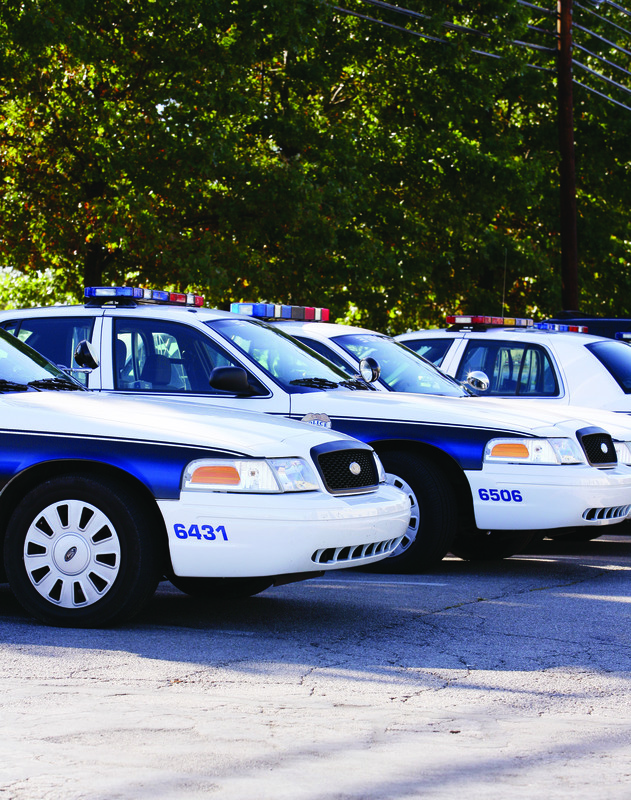 Since the 1990s, police cars can be broken down into three different classifications: police pursuit vehicles, special service vehicles and special package vehicles. 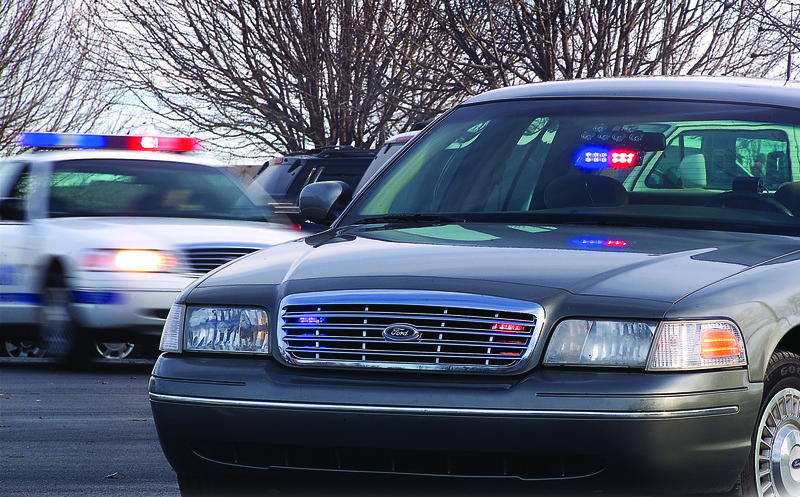 The police pursuit vehicle is used as the everyday patrol car of a police department; equipped to handle just about every single type of situation that one would expect from a law enforcement officer. Special service package vehicles, which come in the form of specially equipped SUVs, are used primarily by government agencies, while the special service package ones come in the shape of sports cars. However, nearly every type of vehicle can be used by law enforcement, from a Chevrolet to a Hummer. With each changing decade and advancements in technology, police cars have always had to stay one step ahead of everyone else, and there are only further improvements in the future.